Those of us that live in the Atlanta Metro area are all pretty familiar with Buckhead. And I have lived here for a little over 22 years... but I have a connection that goes back WAY before that. I lost my father in 1997, and he never lived here... but he did visit Buckhead... LONG ago. He visited me several times after I moved to Atlanta in 1989, but when he was still a kid, he was passing through Buckhead with a few teammates. 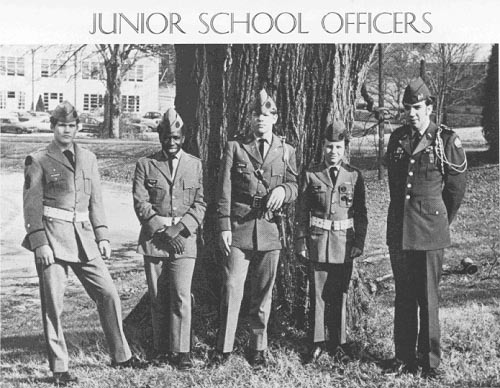 He was a student at the Columbia Military Academy in Columbia, TN, and on the Rifle Team. They had just completed a competition in South GA, and were passing through on the way back to school. It would have been around 1946... and my father would have been around the tender age of 14. So my dad had his first beer in Buckhead. True to his nature, we drove down to Buckhead one day... probably around 1995 or so... and he was able to show me the exact place that they were parked, as well as the bar where he got the beer. It wasn't a bar then, and now it doesn't even exist as a building, but we found an old picture... and he was right on point. Oddly, my dad was never really a beer drinker. He joked that if he'd bought a 6-pack at that time, it might have been a lifetime supply. Unless otherwise noted, all content of this blog is the property of Lane Bailey, ©2012 Lane Bailey. Local? Hyper-Local? National? What IS the Market?